A knight would never go into battle without their sword. That would be like a doctor going to work without their medical bag, or us writing without a cartoonishly huge amount of coffee. A chivalrous warrior must always be ready to be called upon to protect a defenseless village, or lead an army against invaders of the kingdom, or slice a particularly giant sandwich. All tasks are equally important to a knight of the realm! We understand that times have changed, though, and walking around with a sharpened steel blade on your hip is frowned upon (even if you're wearing it with a suit of armor). 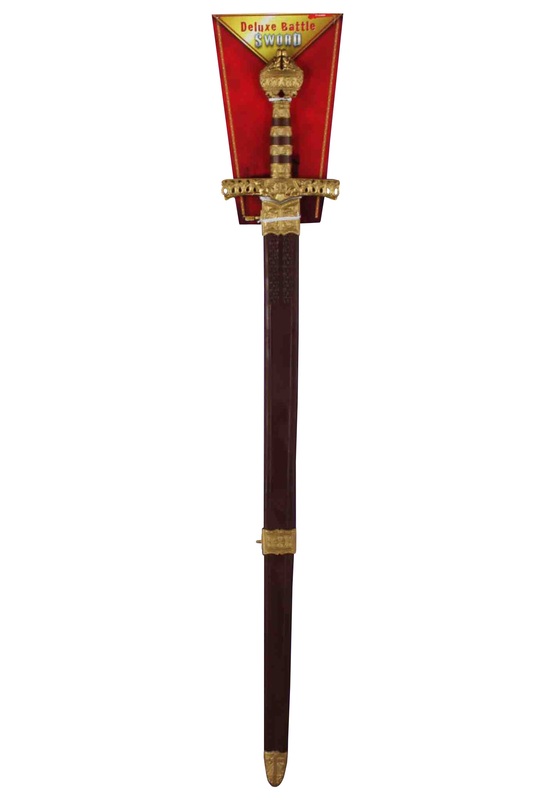 That makes this Deluxe Battle Sword the perfect accessory for making you look like a true knight in your shining armor! The blade is plastic and blunt, but looks like honed steel, and includes an authentic looking sheath to carry it around. Never leave the castle without it! 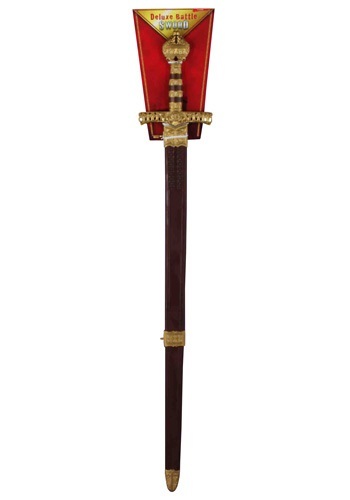 My grandson loves this bull fighting sword…..it is authentic in its size, as it is longer than normal, as it should be to slay a bull in the ring. Thank you!